Our current clients typically see a +30% to +60% growth in sales after we start working with them. 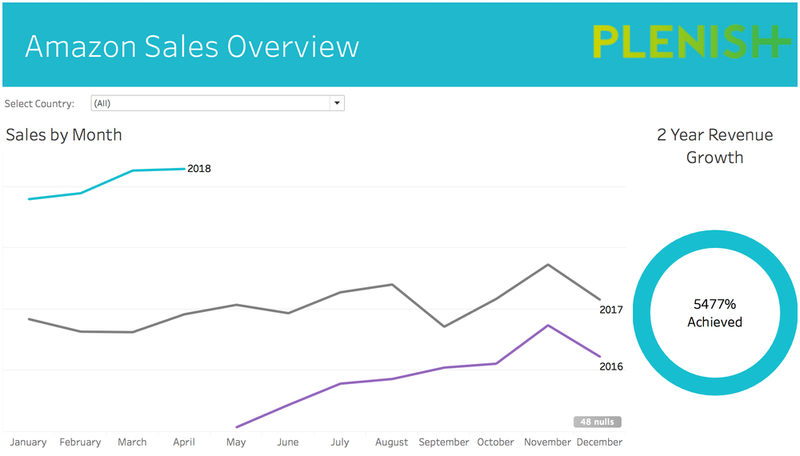 The graph below shows the growth trend achieved post Expert Edge by one of our first clients, an organic milk alternative brand called Plenish. In addition to increasing their traffic, conversion rate and sales on Amazon across Europe we enabled Plenish to improve their ACoS on AMS and drastically reduce time spent on Amazon.